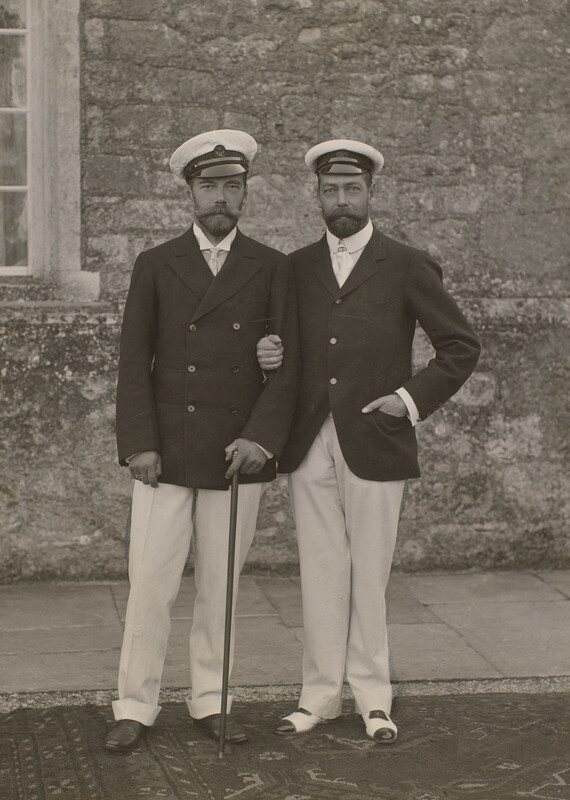 Photograph of Tsar Nicholas II of Russia (1868-1918) and George, Prince of Wales, later King George V (1865-1936), outside Barton Manor, Isle of Wight. Both wear naval-style jackets, white trousers and caps, and both have beards. They were first cousins, through their Danish mothers. Barton Manor is a Jacobean house in Whippingham on the Isle of Wight.